Today I met a legend. That’s me with legendary wine maker Wolf Blass. What a treat. This gracious and kind man signed a few bottles of wine for me, so it’s probably no surprise today’s wine blog is about the man himself. A little history. Wolfgang Blass is a German immigrant who arrived in Australia in 1961 with a diploma in winemaking. One of his first jobs was with Tolley, Scott & Tolley as a winemaker. I read somewhere that in 1966 he bought land on Bilyara Road in Australia and Bilyara is the Aboriginal name for Eaglehawk. The Eagle is also the national emblem for Germany, where Mr Blass is from, and that’s why the Eagle is on every bottle of his wine. Today, the label and the name is probably one of the most recognized in the world. On tonight’s menu, a Wolf Blass Grey Label Shiraz. I am going over to a friend’s house for supper and this is what I am bringing. I love this wine… it’s a great treat wine. Quoting from the website… “Perhaps the definitive interpretation of McLaren Vale, Grey Label Shiraz is a deeply flavoured, generous, yet elegantly structured wine which expresses all the hallmarks of the distinctive Wolf Blass style. Barrel fermentation adds complexity to pure, concentrated fruit resulting in a lively, long and balanced wine. For those of you that read my blog on a weekly basis know I love deep rich plum flavors with hints of pepper, spice and oak. I love this wine with steak, pasta with lots of fresh ground pepper and grilled food. One other wine I’m going to feature today is a Wolf Blass wine I haven’t tried yet. I was shocked to discover that by the way. I thought I had tried them all, but yesterday found Wolf Blass Gold Label 2008 Shiraz. I bought three, $29.98 at our NLC store, and Mr Blass signed all three. I am looking forward to trying this wine. The website suggests pairing it with aged cheddar cheese, which I love, and also lamb, casseroles and roast beef. It’s a Shiraz from the Barossa region of Australia, so I know I’m going to love it. Rich fruit and subtle spicy oak – what’s not to like. I will let you know once I have tried it. 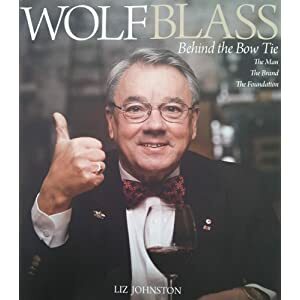 Pick up this man’s book – “Wolf Blass Behind the Bow Tie”, I know I will. What’s better than a weekend – a Long Weekend! 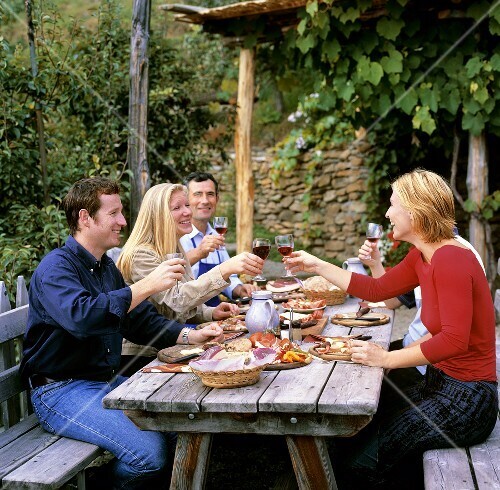 For me, a long weekend is a chance to try new recipes, eat some good food, and of course, drink some great wine. And that’s exactly what I did, and of course the grill was fired up! I haven’t had a steak in a while, so that was one of my choices for the grill. This is one of my favorite wines to go with steak. It’s Angove McLaren Vale Shiraz from Australia. This one is about $25.00 at the NLC and I love this wine. It’s what Australian Shiraz is all about. Aged for about 16 months in oak barrels before release, I know it will go well with all grilled food… but I love it with steak. If that’s a little too pricey for you, this is another great McLaren Vale Shiraz from Australia that I really like. De Bortoli McLaren Vale Shiraz is a great pick, and under $20 at the NLC. Enjoyed a couple of great Malbecs from Argentina, including a Santa Julia Reserva Malbecs for about $15. Great reasonably priced wine. This wine is big and bold tasting, and boy, there’s nothing like a Malbec from the Mendoza region of Argentina. I had this wine with a new recipe of chili and lime chicken with roasted potatoes and it was a great combination. What does the long weekend mean for you? Food? Wine? I look forward to hearing from you.